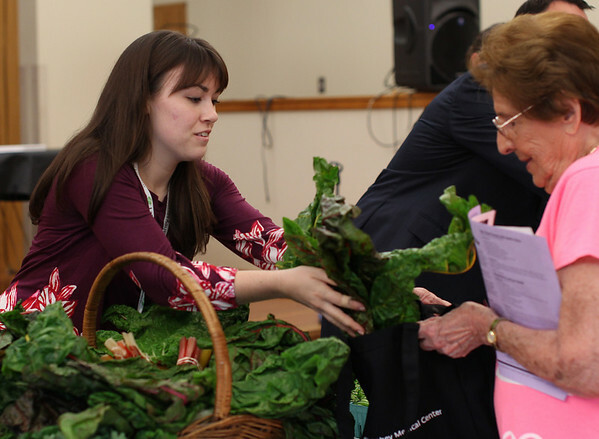 Stephanie Raymond, an Intern at Lahey Health, hands out a bunch of Swiss Chard to Peabody resident Marge Carresi, during the first of a new weekly farmers market held by the Peabody Council on Aging and Lahey Health at the Torigian Center on Friday afternoon. DAVID LE/Staff photo. 6/20/14.